A draw plate is a thick steel plate with holes. It’s used to reduce the thickness of wire. 1. File one end of the wire into a sharp point. 2 to 3 cm is usually enough. You can always file it more later if necessary. This is so you can poke the wire through a hole that’s smaller than the gauge you currently have. 2. Anneal the wire to make it soft. I made a video on how to anneal wire. 3. While the wire is still warm (but not too hot), pass a candle or block of wax over it to coat it. The wax acts as lubrication, allowing the wire to run through the plate more smoothly. 4. Hold the draw plate securely into a sturdy bench. The bench or table which holds the vice should be attached to wither the wall or the floor, otherwise you risk pulling it along with the wire. 5. Find the hole in the draw plate that is just under the size wire you have. Use sturdy pliers to grip the tip of the wire and pull it through. 6. Continue pulling the wire through each of the increasingly smaller holes until you reach the desired gauge. Don’t skip steps to avoid putting unnecessary strain on the wire. 7. 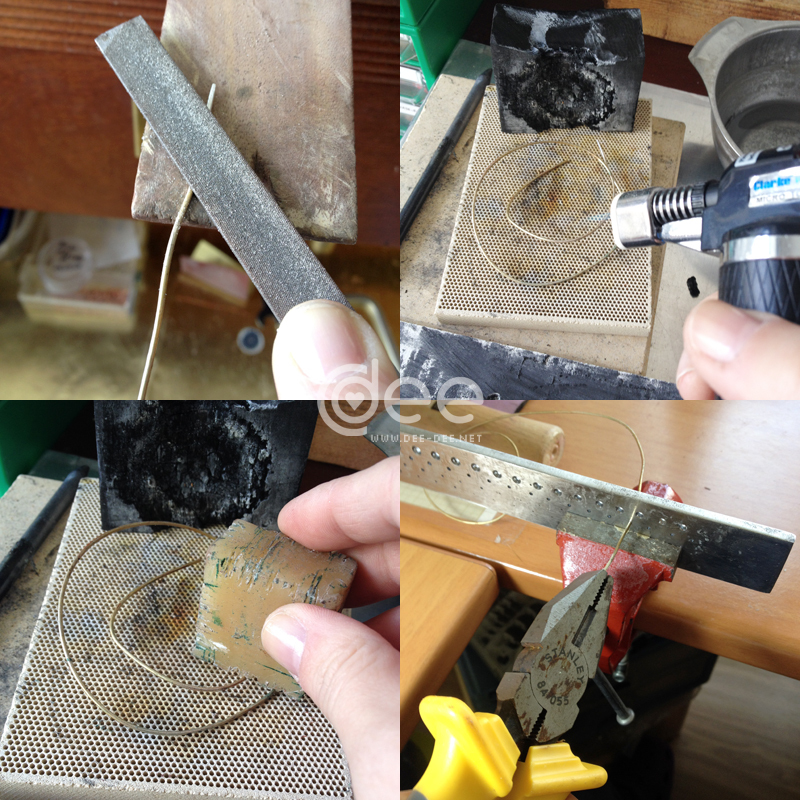 You should anneal the wire every 4 or 5 holes to keep it pliable, otherwise it will harden too much and you need superhuman strength to pull it through the hole. If the wire hardens too much it may also break or starts flaking (chips start appearing on the surface of the wire). 8. Always reapply wax after annealing. Be careful when annealing wire that has been coated in wax. Wax is flammable and may catch fire (like lighting a candle).